There was a time when Link Building used to be simple. But, all links are created equal, right? 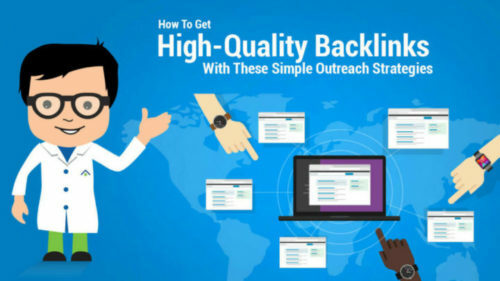 The answer to the question how to create high-quality backlinks, is not just: you go out, write certain interesting articles, submit them to the article submission website and get an external link back to your website. Hmm!!…. I told you, it is not as simple these days as it used to be. Well, in the Post-Penguin era it doesn’t work. It used to help you in getting a high PR. It was somewhat like, on one side the right inbound site links used to grow your revenue, Google rankings, and also brand, while on the other side, a wrong website link could get your site penalised. And you never know what Google is going to do next. As many people relied on private blog networks so that they can boost and rank high on page rank. Then after some time, Google does something which tanked rankings of those websites which had used this technique by using the PNB deindexing update. Now the question is what you should do to save yourself from this type of Google trauma? 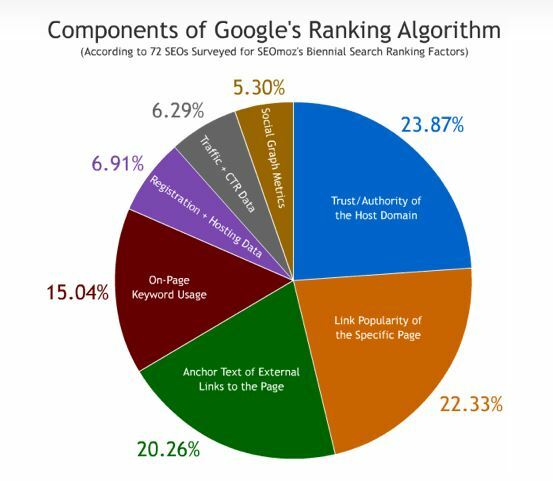 Most of the SEO advice you to stop everything you are doing for link acquisition. But, I think this is the worst solution one can ever give, especially when you are doing business online. Instead, it is necessary to learn how to create high-quality backlinks in a scalable way. But, why we are saying “ Build high-quality backlinks”? The reason is that backlinks have always been one of the vital components of the Google Ranking Factors. Nowadays, effective link building is all about trust and popularity. About 37% of the business owners who responded spend somewhere between 10000 to 50000 dollars per month on external link building- According to the recent survey by Moz. It is that if you are making such an investment, which means you need to have exact and accurate information on how to create high-quality backlinks so that Google will trust. I will tell you some strategic link-building techniques in this post. They are scalable and when you will apply them to your website not only your ranking will improve but also it will improve your conversion rate. This is because you are working on high authority on how to create high-quality backlinks to search engines. Let us all get started with it! For building links that is right, it is basically all about posting relevant content so that people will link to it continuously. Keyword research and targeting is an important aspect of link building. Alan Mitchell was able to increase one of its client’s CTR by approx 461% and also their ROI grew to approx 231% in almost three months- just by selecting and using a large number of keywords across many ad groups. 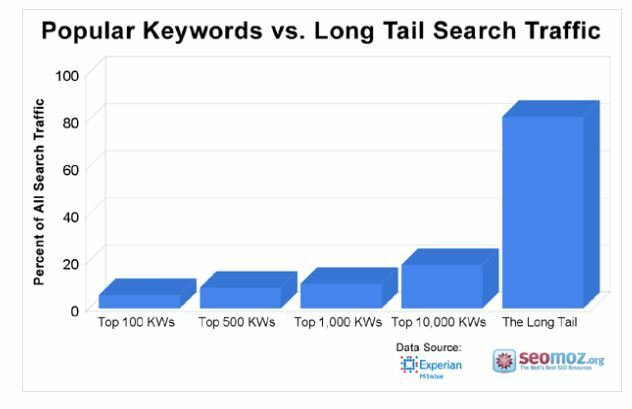 Long-tail keywords represented approx. 80% organic traffic of Moz when it was compared to the popular keywords. Isn’t Moz got great results with a focused keyword strategy? See, if you want your website to be more powerful via external link building, then it will be foolish to ignore Keyword Research. Keyword research usually helps you to understand the minds of your target audience. Let’s see how you could find suitable keywords in order to order to focus your content in the search engine. How you could attract small business owners who are looking for help with social media marketing. For this, let’s start with the Google Adwords Keyword Planner. How Google Adwords Keyword Planner used for keyword research. I have discussed it in detail in my last article. Social Media Consultant and so on. This is to remember that don’t target those keywords that are unrelated to or off-topic to your product or services and core-massage. See, scalable link building is basically concerned with the relevancy of the linking domain, because, when you build a website, you might not want to use anchor text, and because of that, your site will become visitors’ bounce. Well, in order to find out the demographics of your audience for your website, you should visit Quantcast. You just need to sign up here and type your website’s URL in the search bar. Please scroll down to see the audience demographics. The image clearly shows that most of the website’s target audience is male. The age is 35-44. Well, it has also seen that there are quite good readers between the age of 25-34. According to Pingdom– these two age groups mentioned above highly dominates social media. That clearly means that they are likely to share your content on social media. If you want to build a high external link ratio, it is necessary to take out time for yourself and share your own content. By using the HubSpot Automation tool, Mingl Marketing Group is able to grow their client’s traffic by 590%. See if you are going to build more and more social signals, then you need to leverage automation. 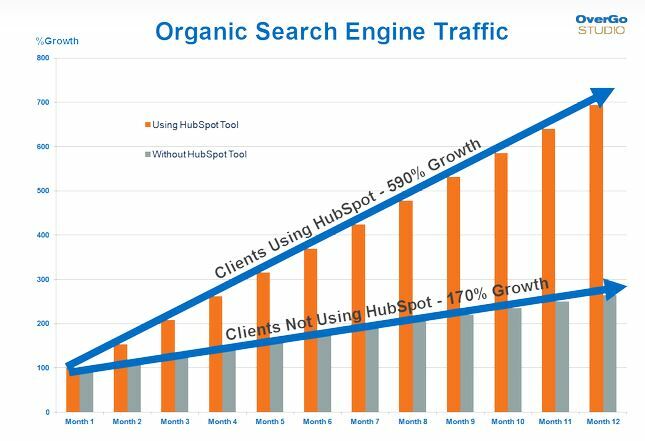 You yourself can see the difference when the client was not using HubSpot automation, the traffic growth was just 170%. When website owners are not producing great and compelling content that people should share, they find link building and link acquisition stressful. In “How to Rank”– the great classic book by Moz, Cyrus Shepard advised that “90% of your efforts should be used into creating great and compelling content, and 10% into link building”. 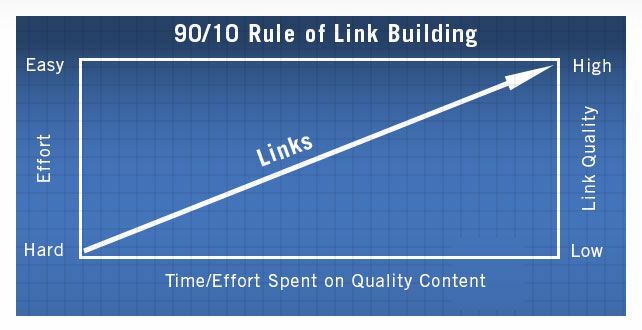 This is basically the 90/10 rule of link building, which he has mentioned. Shepard said that- if you are facing difficulty in generating a high-quality backlink for your website, it is likely and obviously you might have reversed the rule. This is completely acceptable that if you want to succeed with the right link building. You should create compelling content that will definitely warranty you for high page-rank. Remember, a single post can be used to create many high-quality links to your website. Now, how can you find authority websites where you can build good relationships and can start the process of creating relevant links? Well, there is one useful tool we recommend you to use. That is “Similar Site Search”. Go to the website. Type in the URL of your website and hit on “the Search” button. Well, there is a list of websites, which are covering topics which are related to mine. But this only the first step. I need to build relationships with these website owners. Once you have identified some sites, now the next step is to research them further, so that, you will be able to make out which one will helpful in link building. With the right way to quality content, the domain relevancy, trust flow and anchor text, you will be able to enjoy the major benefits of real traffic and also external links to your website. But, you should understand that link building is also about increasing the strength, potential and juice of your inbound links. You know this is why it is essential to create a linking structure for your website. I recommend a two-tier linking structure should be created. 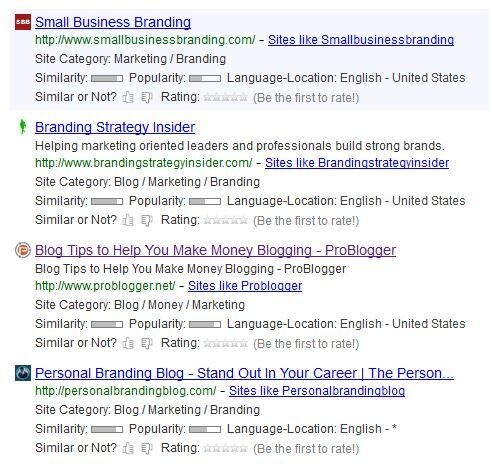 As you can see in the above picture, there are two-tier backlinks. Tier 1 backlinks are those links that you earn or build directly to your website. And, Tier 2 backlinks are those links that directly pass the ranking value to the tier 1 links. Tier 2 backlinks, can be created in just 3 simple steps, which you need to follow. Ok, let’s take Tumblr as an example. 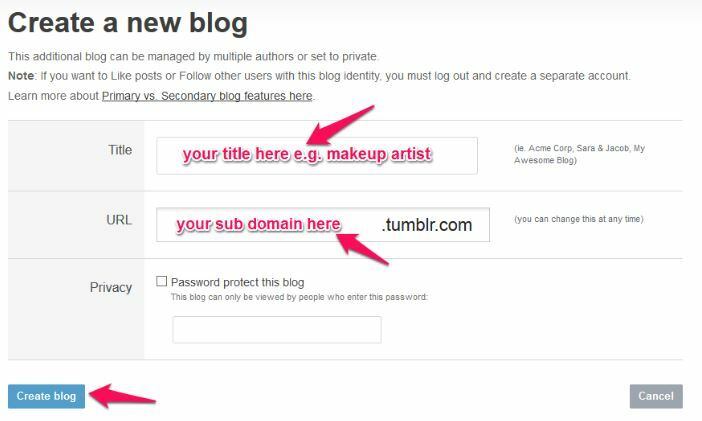 You need to login or sign up and click on the drop-down arrow and select “Create a new blog”. Next, you have to click “Add Text”. Now add a title of your post and content and then publish. Get the Tumblr page to be indexed by sharing the post URL on social media, such as Facebook and Google+. You should also ping it at Ping-o-Matic. 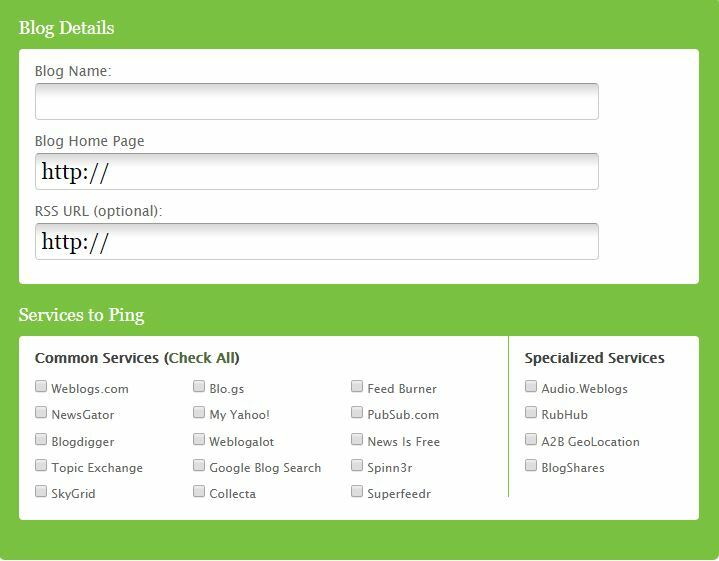 Pingo-Matic will help you to syndicate your URL to the major content aggregators. Your site may take less than 6 hours to be indexed and crawled. To check it out, go to Google and paste your Tumblr URL into the search box. Once the website is indexed, you need to use a branded keyword on the Tumblr page, in order to link back to your website. This backlink should point directly to your website, but everything does not work like a press release covered by the nightly news. Though it still has a value! 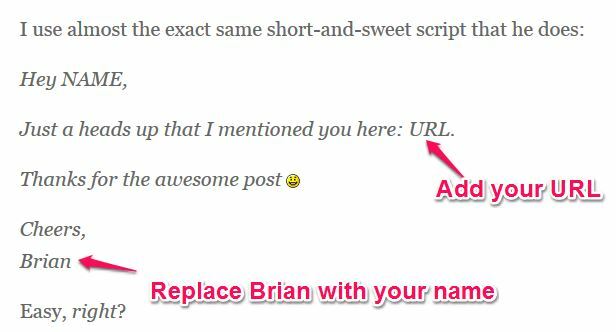 The third point on how to create high-quality backlinks is Ways to earn editorial links. Earning editorial links is an effective strategy of how to create high-quality backlinks. Do you know that over 2 million blogs posts are published daily? So, you cannot just put some text together as an article or blog post and pray for the miracle. To earn editorial links from the authoritative websites will definitely skyrocket your external link building strategy. But, for this, you need to provide good value. It is said that link building can be stressful, but easier also. If you focus on creating link worthy and compelling content which can be shared, then link building will be easy. See, if you create and publish compelling and great content on regular basis, then the people will definitely cite, share, recommend, tweet, link and send links to your page. In order to get most from website link building, you need to create a content that people will share. The reason behind this is your content is valuable, helpful and you blow them away. Well, for this you should study posts that went viral in the past. You should also use their strategy to dominate the major social media platforms. In your post, include some data points. Link out to relevant authority blogs in order to provide more value. It is somewhat like when you mention some authors and site owners in your own post, and then you can get them to link back to you. But this will happen, only if you send a thank you e-mail to them. 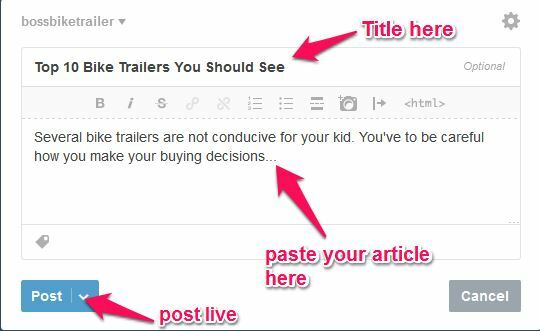 You can also use guest blogging in order to earn authority links, as guest blogging used to be very powerful. Danny Iny started building networks with the help of other A-list bloggers. He also wrote a lot of guest post and quality link acquisition. He used guest blogging to recover from losing his company. See, if you are looking to scale your link building process, guest blogging can also help you. SEOs are sceptical about building links. That means maybe they are scared of the next Google update. It is because, in 2013, about 10% of SEO invested up to $50,000 in website link building and acquisition. But, in 2014, about 81% of SEOs decreased their link building budget. 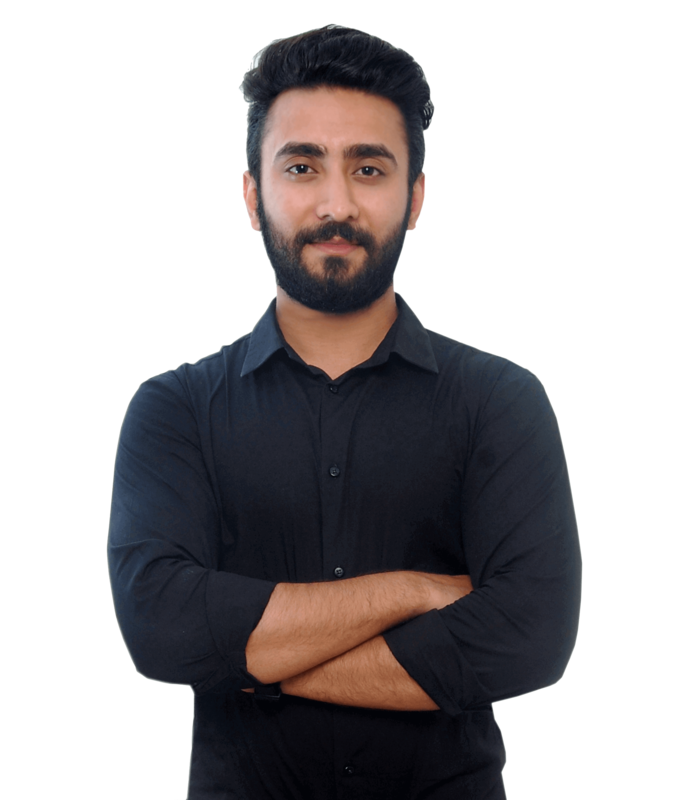 So, the whole motive is to tell you that link building has been an effective strategy for achieving high page-rank with Google rankings. And I think it still is an effective strategy as long as you do it the right way. This is all we have about how to create high-quality backlinks. I hope you find the article on how to create high-quality backlinks worth reading. If yes, then your queries are welcomed. Requested to fill the FORM here. We will be back with some exotic topics soon, till then stay tuned to our article buy cheap and best SEO books 2018.